Hebrew Academy is an orthodox Jewish Day School committed to the overriding importance of Talmud Torah and religious practice; the value of secular studies; the cultivation of a sense of both belonging to and responsibility for the Jewish people; the central religious significance of both the land of Israel and the State of Israel in the life of the Jewish community. 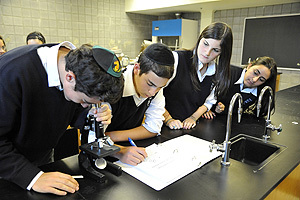 Hebrew Academy strives to maximize the academic, intellectual, religious and emotional development of each student. Our goal is to prepare students to take their place in the Jewish community, in Québec society, in Israel and in the Diaspora, as leaders and role models for generations to come.